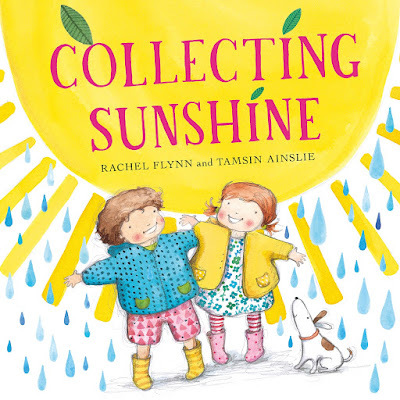 Collecting Sunshine is a joyous story about one day when Mabel and Robert go for a walk. Like many children, they collect interesting items that they find along the way, such as leaves, berries and stones. It begins to rain and their items are lost, which is only concerning to the pair for a moment before they grow their collection in new and more imaginative ways. Mabel and Robert’s characters wonderfully reflect the imagination and creativity of young children, their words and demeanor warmed my heart. 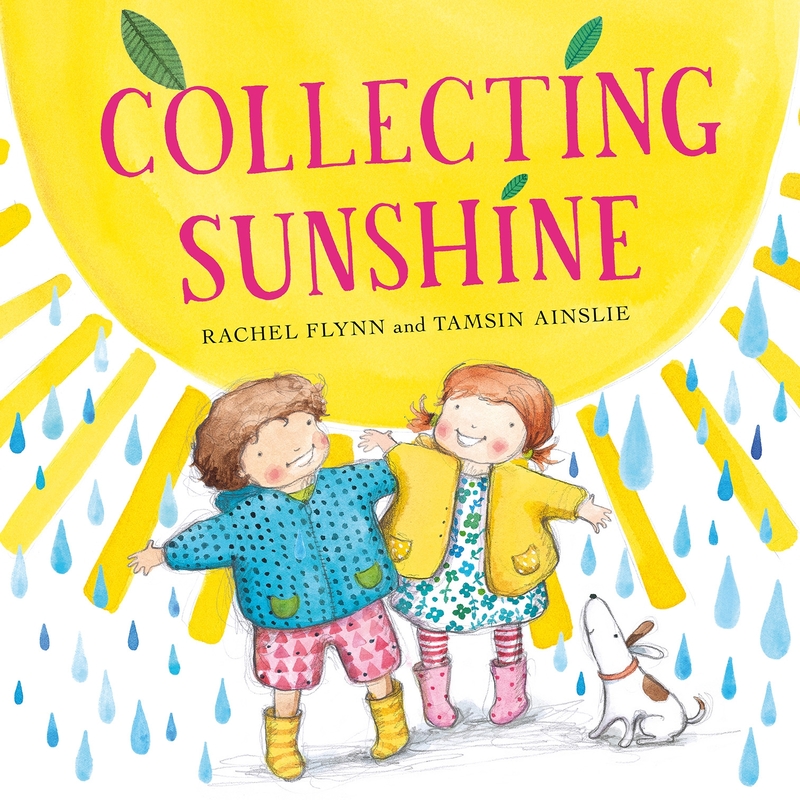 The beautiful watercolour illustrations and vibrant colour palette by Tamsin Ainslie perfectly suit the text by Rachel Flynn. Each page has a little budgie and mouse to search for. The endpapers feature illustrations of items and natural delights from the story which could form a basis for further discussion and inspire creative activities with children. Other books illustrated by Tamsin Ainslie and reviewed by Kids’ Book Review include The Sisters Saint-Claire, Count My Christmas Kisses, When I Love You at Christmas and Little Dog.